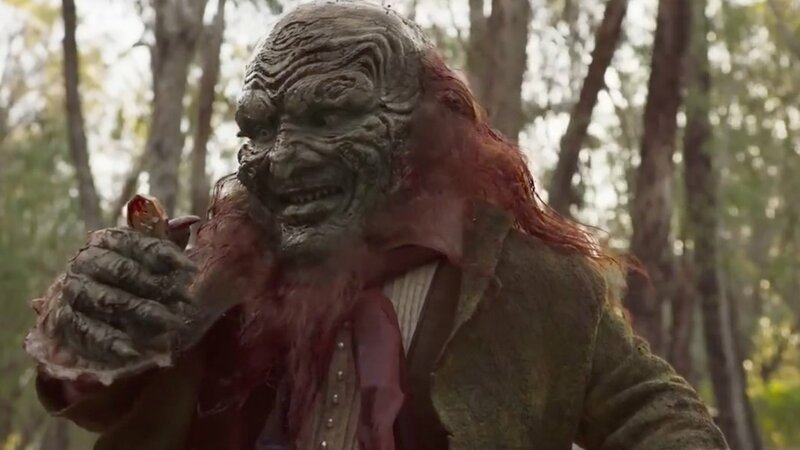 Lionsgate has unveiled a new trailer for the horror sequel/reboot Leprechaun Returns starring Taylor Spreitler, Pepi Sonuga, Sai Bennett, and Linden Porco as the titular baddie. Check out the Leprechaun Returns trailer below! When a group of girls ventures into the wilderness to build a sorority house out of an old cabin, they unwittingly awaken the sadistic Leprechaun, who again goes on a killing spree while searching for his pot of gold. Leprechaun Returns is directed by Steven Kostanski (The Void) from a story by Suzanne Keilly (Ash vs. the Evil Dead). This is the first entry in the Leprechaun franchise since 2014’s Leprechaun: Origins, starring Dylan Postl as the diminutive monster, but the second to not feature Warwick Davis in the title role. Davis starred in the original Leprechaun way back in 1993 alongside Jennifer Aniston. He would go on to make five sequels, culminating in 2003’s Leprechaun: Back 2 tha Hood. Lionsgate will release Leprechaun Returns on Digital and On Demand December 11.